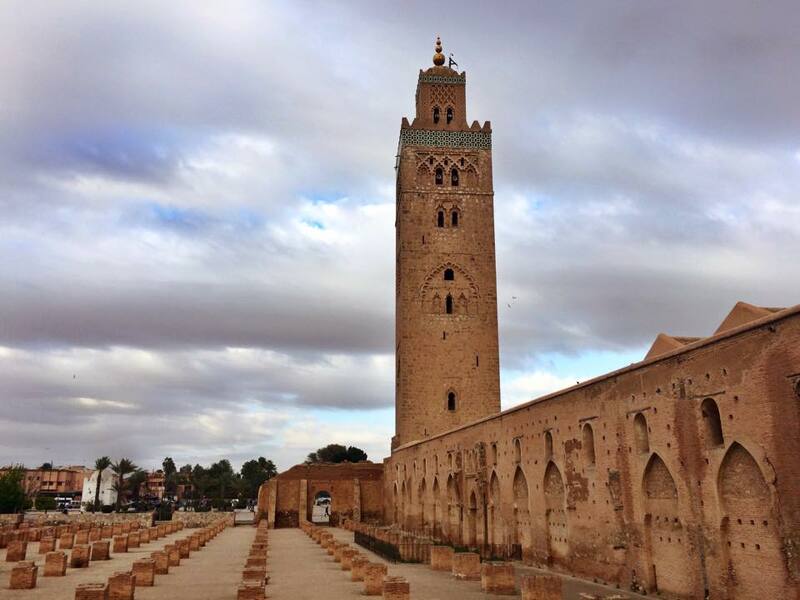 On a recent trip to Morocco, we stopped by the Koutoubia Mosque in Marrakesh. The mosque stands next to ruins of its previous iteration. The mosque was originally built with a slight mistake in the orientation for prayer. The decision was made to rebuild the new mosque, identical to the original but with the correct orientation, right next to the original, which has since deteriorated. What I love about this story is that nobody tried to hide the mistake. Instead, the mistake is proudly displayed next to the success. It reminded me of the Celebrating Failure series I worked on in India, which asked social entrepreneurs to share their lessons from failure. What if start-ups, businesses, individuals, shared their failures right next to their successes? The logo that wasn’t chosen next to the one everyone knows. The original app template that tested horribly with users accessible via the new one everyone loves. The original business plan that never worked shared along with the current successful one. The wrong answers on my economics homework compared side-by-side with the right answers. Why do we hide our failures, when we and others can learn from them? In the case of the mosque in Marrakesh, it remains a memorable visual lesson for all of us. This blog post has been sitting in my drafts for almost two years now. I keep coming back to it every few months–questioning its relevance, comparing it to the rapid evolution of thinking about social enterprise that has taken place since I first wrote this, asking friends for feedback, and then deciding I’m not comfortable sharing it. While our thinking about what “social enterprise” means has certainly evolved over the past few years, there is still room to question its meaning and trajectory. More and more, I’ve been gravitating towards the notion of “organizational values” and away from entities and missions. I wrote a bit about that here, but I wanted to FINALLY share this post below, as a draft, open for feedback and improvement. Readers: What do you think? What’s missing? Is this even relevant? Are organizations adopting these values, and would those that don’t traditionally think of themselves as social enterprises want to advertise themselves as such if they aligned with the framework below? Add in the comments or message me. I really want to hear what you think and have your help in shaping this concept further. “That’s a non-profit, it’s not a social enterprise.” People make this comment all too often. The definition of the term “social enterprise” widely varies, but what is often most misunderstood is that social enterprises as entities can be for-profit, non-profit, or a hybrid, and I argue in this piece, even governmental. We should separate the legal formation of social enterprise from the values and goals of social enterprise. Let’s think of social enterprise as a set of values for an organization. In this sense, social enterprise is a framework of values for change, and we can encourage all organizations to adopt this framework. It has been nearly six months since I moved to India for the IDEX Fellowship in Social Enterprise. Since then, I’ve been serving in a consulting role to an affordable private school (APS). My foremost goals have been to design and implement sustainable programs for the school, and to gain a better overall understanding of the challenges in low-income communities and the social enterprise market in India. So, what have I been working on here? 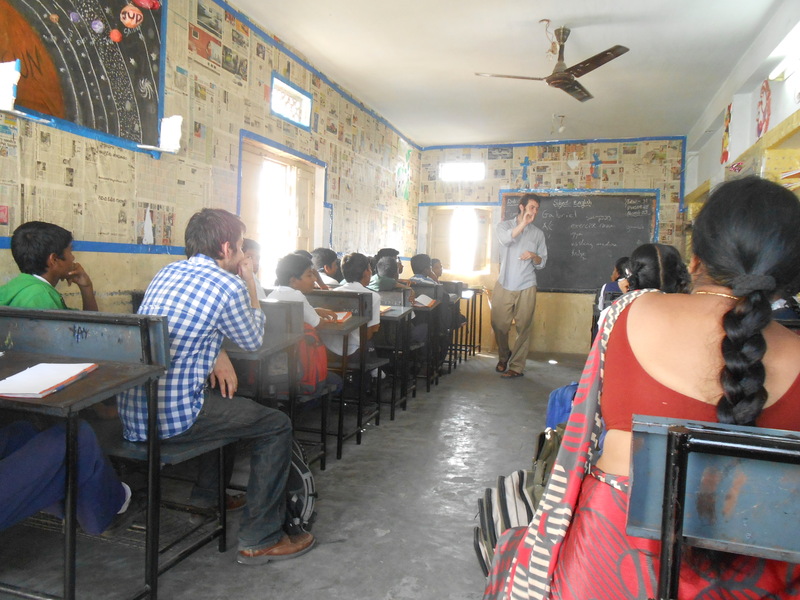 I’ve spent significant time just settling in to India and observing how my school works. I wrote this post on my first impressions of APS. I sat in on classes, spoke with teachers, students, parents, and administration. And I read a lot about innovations in education, low-income education, and social enterprise in India. My fellowship provided us with speaker sessions about social enterprise and trainings from organizations like J-PAL on impact assessment and theory of change. One major challenge I’ve faced is that I’ve jumped a bit from project idea to project idea. Some of my initial concepts for projects–such as a school expansion for a playground and an assessment of APS through surveying alumni–weren’t feasible given financial, time, and resource constraints. Other ideas either didn’t make sense for the school or for my goals here, or partnerships fell through. The initial observation phase was vital in coming up with project ideas, but I continue to learn new things about how my school and the local community functions all the time which changes the feasibility of projects or what projects I want to focus on. And many hurdles weren’t realized until plans for implementation were put in place. I did implement a number of small-scale projects, such as Design for Change and coordinating a health camp and a career training. 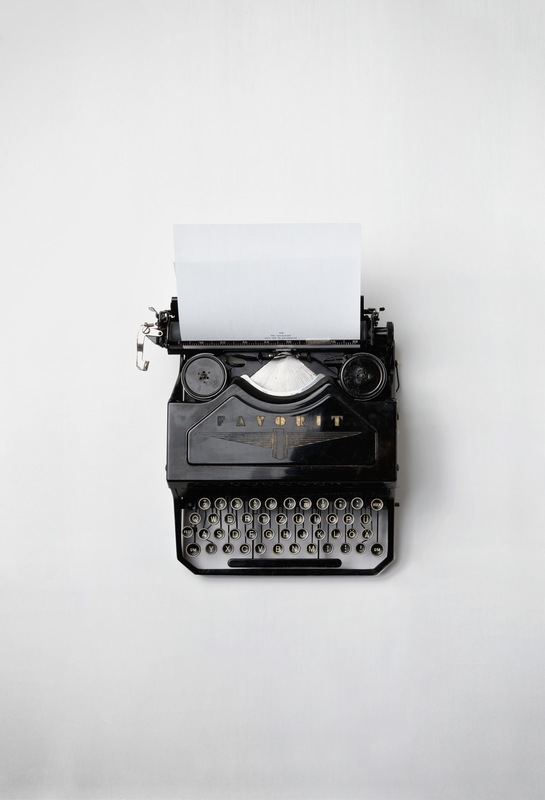 As a secondary assignment for my Fellowship, I’ve also become a contributing writer for the great team at YourStory.in. Right now, I’m focusing on several priority projects for the remainder of my fellowship. One project is a very exciting mobile phones pilot with two major education and education technology companies in India. The pilot will test students on a subject weekly and provide performance feedback to parents and teachers. But the novel component is that the program will be used on mobile phones that the families already own for a very minimal cost (no hand-outs of expensive new technology), and it’s a brand new pilot. We’ve held initial meetings with the two pilot schools, parents, and students, and plan to launch at the end of January. Previously, I wrote about my interest in learning more about India’s unbanked, and how that might improve school fees payment. I’m still very interested in this concept, but have found it difficult to identify and secure partner organizations for a savings and/or financial education program, with school resource constraints and lack of local partners being major impediments. With my fellowship working group, we’re still in the process of trying to build a partnership between a financial education program and APS in Hyderabad. Another major focus is my work for a forthcoming report on educational tablets and technology in low-income schools in India. This report is based on a tablets pilot at APS in Hyderabad and field research we conducted. The report will provide a lot of new insights into the market of low-income educational technology users in India. I’m also hoping to help my school purchase and install internet access for their computer lab, after which I will train teachers and students on how to use and take advantage of the endless resources for education on the internet. I’ve also worked on a test-taking and study skills lesson plan for teachers and students, since such skills as multiple choice strategy aren’t taught at these schools, yet passing 10th class state exams is vital for every student. This doesn’t nearly encompass the many things I’ve learned, tried, implemented, or thought about during my first six months here, but it’s an overview of my work thus far. I have three more months to implement and wrap up my key projects before the end of my fellowship. Overall, this experience has been invaluable in allowing me to have an entrepreneurial experience in a developing economy, to spend significant time researching and learning, and to better understand the roadblocks in designing and implementing social enterprise projects in India. My thoughts on the affordable private schools model are being reserved for a future post. Considering a Start-Up? Think Again. We’re all susceptible to myths. The new zeitgeist is that entrepreneurship is the be-all and end-all path. But the first step in deciding whether to be a founder is to manage the vanity that’s in all of us, and not be blinded by the herd. The article mainly discusses the warning signs of vanity in the urge to found a start up. It encourages potential founders, and especially young people, to think about their reasons for wanting to become a founder, and whether the choice is actually right for their lifestyle and goals. Having an entrepreneurial spirit is a great asset, and if you do have the psychological disposition (and the new or game changing idea), by all means, found a start up. They can do a lot of good for the economy, disrupt an industry, service, or idea, and change lives. But entrepreneurship for the sake of entrepreneurship deeply concerns me. It ignores not just personality types, but also the vital need for intrapreneurship and ensuring that efforts are not duplicated or resources wasted because everyone wants to start their own organization instead of working together or improving what already exists.